© IndiaToday.in Verma has filed a petition challenging the government's authority to send him on leave, arguing that it went against rules that mandate a two-year term in office for a CBI chief. 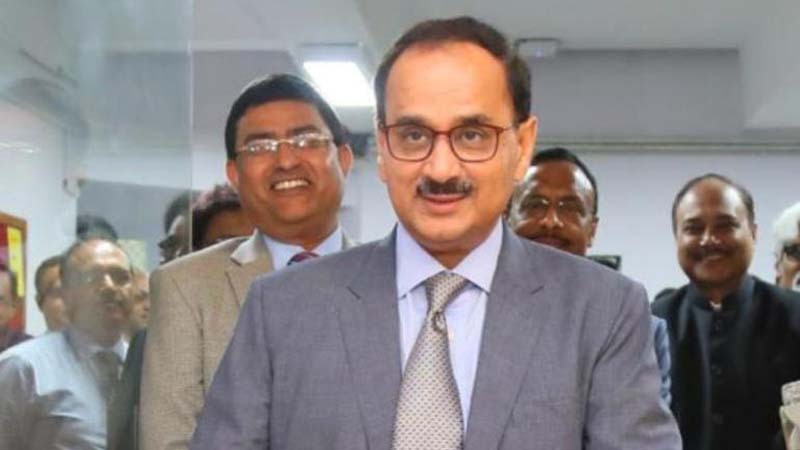 The Supreme Court on Thursday reserved order on the plea of Central Bureau of Investigation (CBI) director Alok Verma challenging Centre's decision to divest him of his powers. Earlier, the court observed that the director of the CBI must continue in his post for two years. Verma, who was involved in a bitter feud with his deputy and CBI's No. 2 officer, special director Rakesh Asthana, has been sent on forced leave by the government. Both Verma and Asthana, who has been sent on leave as well, have accused each other of corruption. Verma has filed a petition challenging the government's authority to send him on leave, arguing that it went against rules that mandate a two-year term in office for a CBI chief. The government has argued that Verma has not been "removed" from the post but has just been sent on leave since he and Asthana were "fighting like cats". Verma is still the CBI director, the government has argued. Today, the government repeated the same arguments in court as it sought to a convince a Chief Justice of India Ranjan Gogoi-led bench that had to intervene and take action against Verma since there were serious charges of corruption against him. In response, Verma's lawyer argued that the rules mandate that a CBI director must "remain in office" for two years. "It's not a nomenclature that he can call himself the Director. He must remain in office," Verma's lawyer said. The Supreme Court observed that the director has to continue for two years. The court also asked why the government moved against Verma and Asthana overnight if the fight between them had not emerged overnight. Earlier on Wednesday, the government told the Supreme Court that the CBI director and the special director were fighting like "kilkenny cats", exposing the country's premier investigating agency to public ridicule. Attorney General (AG) K K Venugopal also told the top court that the government was well "within its right to intervene" and send both officers on leave by divesting them of their powers. The top law officer asserted that "only the God knows where and how this fight between the two top officers would have ended" if the government would not have taken the action which was aimed at restoring the public faith in the CBI.